When Alex Haley’s book Roots was published by Doubleday in 1976 it became an immediate bestseller. The television series, broadcast by ABC in 1977, became the most popular miniseries of all time, captivating over a hundred million Americans. For the first time, Americans saw slavery as an integral part of the nation’s history. With a remake of the series in 2016 by A&E Networks, Roots has again entered the national conversation. 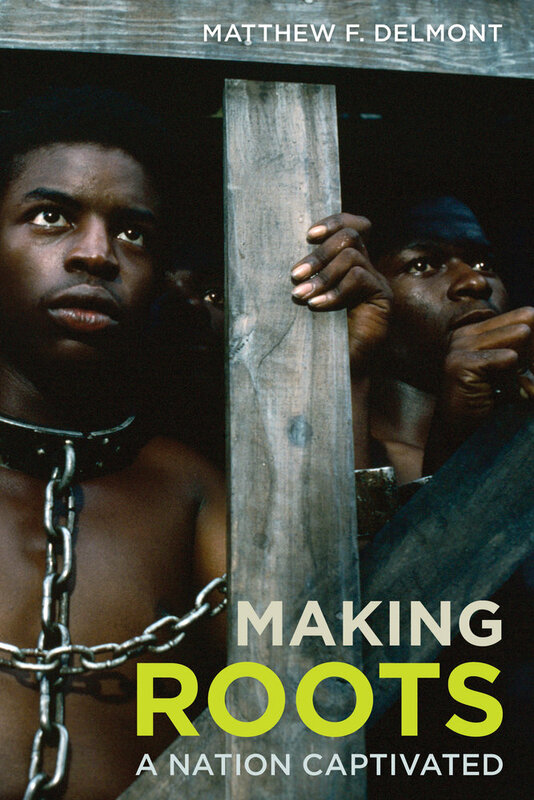 In Making “Roots,” Matthew F. Delmont looks at the importance, contradictions, and limitations of mass culture and examines how Roots pushed the boundaries of history. Delmont investigates the decisions that led Alex Haley, Doubleday, and ABC to invest in the story of Kunta Kinte, uncovering how Haley’s original, modest book proposal developed into an unprecedented cultural phenomenon. Matthew F. Delmont is Professor of History at Arizona State University and the author of Why Busing Failed: Race, Media, and the National Resistance to School Desegregation and The Nicest Kids in Town: American Bandstand, Rock ’n’ Roll, and the Struggle for Civil Rights in 1950s Philadelphia, both published by UC Press.